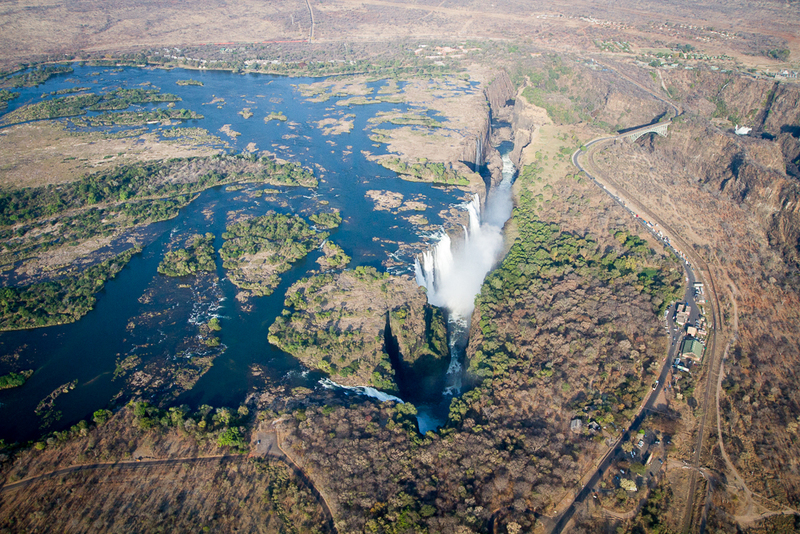 The water levels at Victoria Falls are lower than is normal for September. 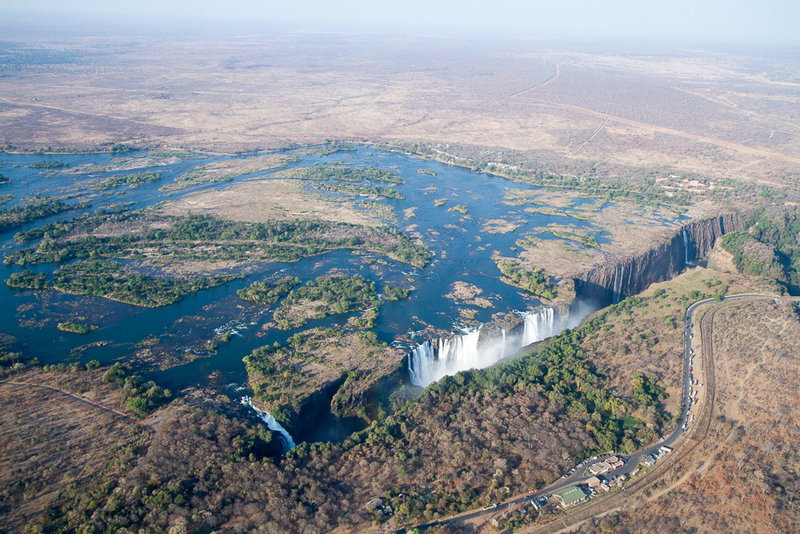 This has resulted in the best viewing being from the Zimbabwean side of the Falls. 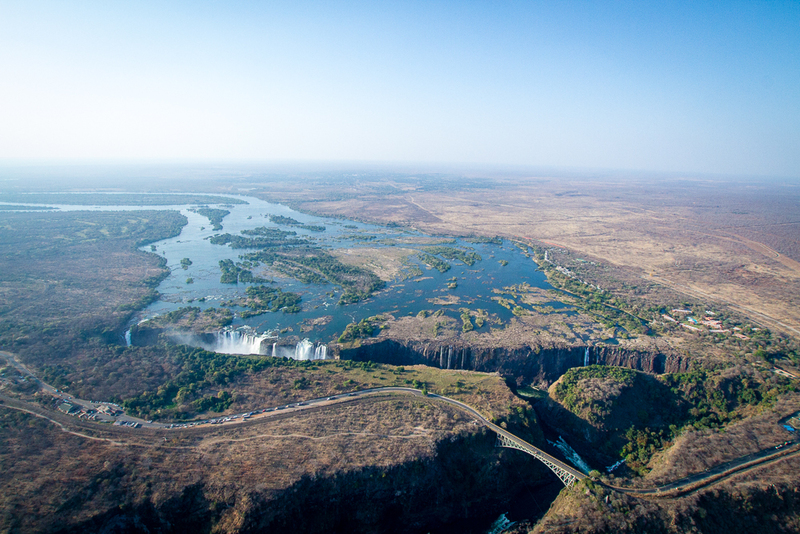 The image above shows the two sides of the Falls with Zambia being to the right of the bridge in the image and Zimbabwe to the left you can clearly see how little water is visible from Zambia. One upside of the low water levels is great white water rafting. 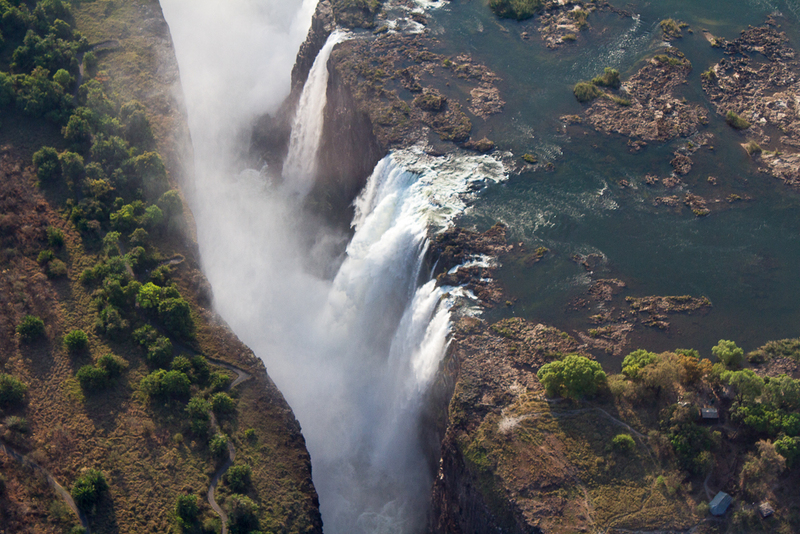 On the whole, lower water levels means higher thrill levels and more rapids in the river. 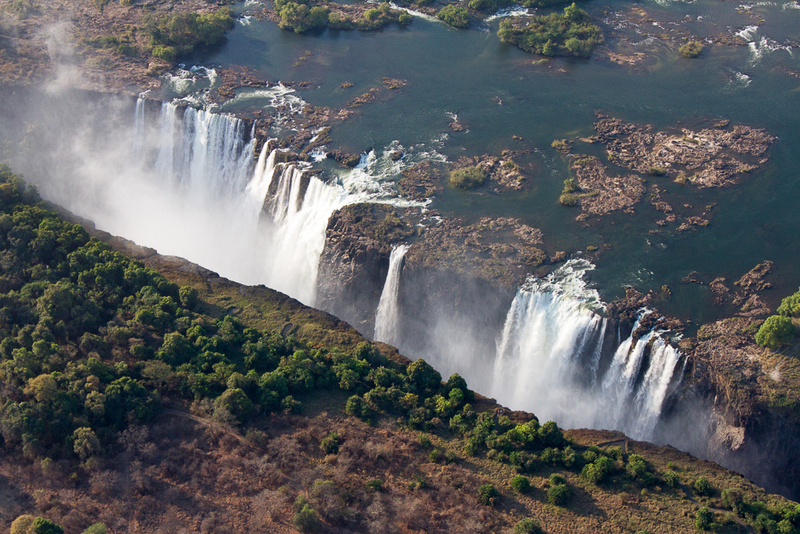 As the water level drops, so the river follows the contours of the river bed more closely and the white water starts to really boil and crash through the gorge. 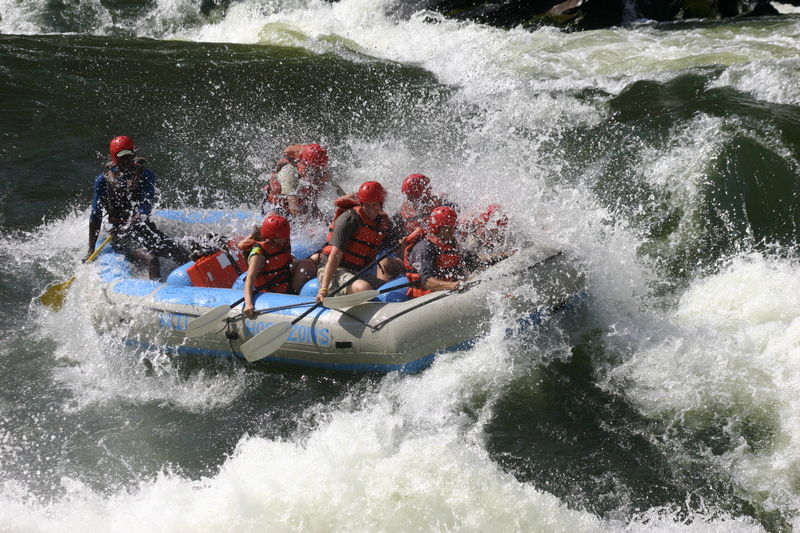 You can read more about what is rated as the best one day rafting trip in the world here.